LINCOLN, Neb. — The Huskers took the practice field one last time on Thursday before the upcoming spring break, marking the midway point of spring football. Riley said he has been pleased with how the team has progressed through the first few weeks. Wide receivers coach Keith Williams said he likes the way players have stepped up to fill the leadership void left by the departed seniors. >> The secondary had a strong showing in practice on Thursday, particularly during the 11-on-11 period when they moved into the red zone. The defensive backs broke up or picked off a number of balls that were thrown into some tight windows. Offensive coordinator Danny Langsdorf said a number of factors played into the rough day by the offense. Riley said the quarterback miscues were very uncharacteristic of what he’s seen so far this spring, and he does not expect to see them to that degree again. 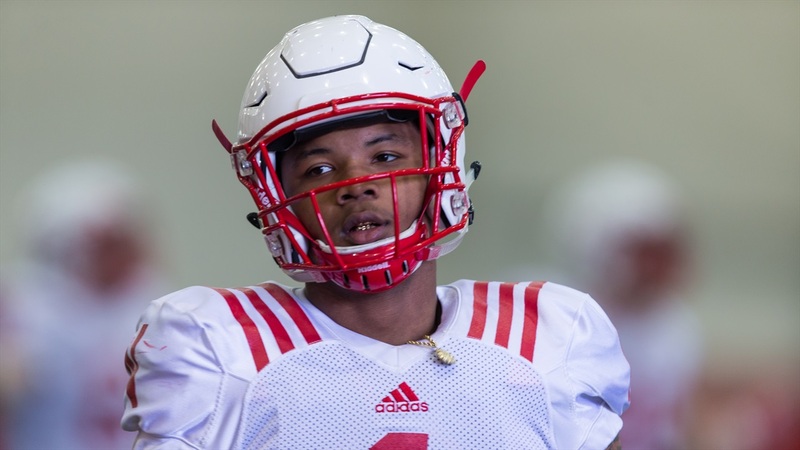 One noteworthy change at Thursday’s practice was that the coaches gave Joshua Kalu a “look-see” at safety. He played next to Aaron Williams while Lamar Jackson took his place as the outside corner opposite Chris Jones. >> Linebacker Tyrin Ferguson was back at practice on Thursday after missing some time earlier in the spring after getting his knee scoped. Freshman wide Receiver Keyshawn Johnson Jr. tweeted on Tuesday that he had been cleared to practice following an illness that kept him out, and he was on the field Thursday. Johnson stayed after practice on Tuesday to get some one-on-one work in with Keith Williams, and Williams said he is happy to finally put the early enrollee to work. Jaevon McQuitty, the other freshman wide receiver who enrolled early, will not be cleared for contact this spring according to Riley. >> Tyler Hoppes was the early stand-out at tight end, and according to Langsdorf Matt Snyder has joined him as guys who have separated themselves from the pack a bit. One player who has the potential to be a strong blocker is redshirt freshman Jack Stoll. >> At wide receiver, Bryan Reimers has established himself as a key player in the rotation. Making the right play is exactly what Reimers is focused on and how he believes he will earn playing time.